Chunder from Down Under : EXPIALIDOCIOUS! 1 Channel SD Video. 5'16"
28th November - 3rd December 2013. Tele Visions Festival. Performance Space, Sydney. 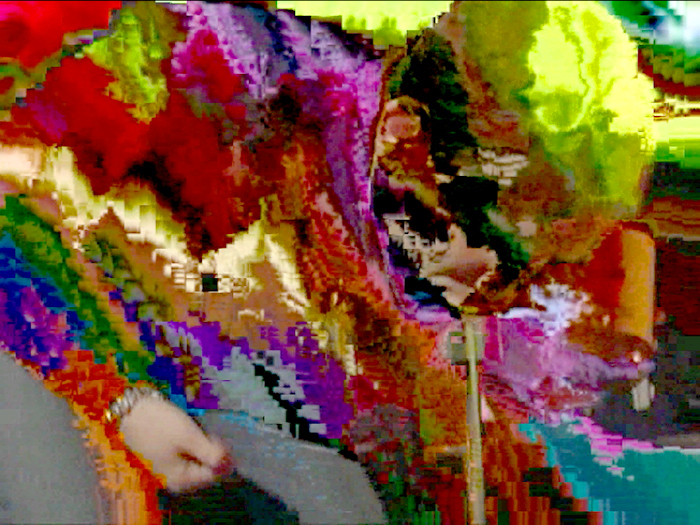 Tele Visions Afterlude, Experimenta Recharge - 6th International Biennial of Media Art, 2015 - 2016. 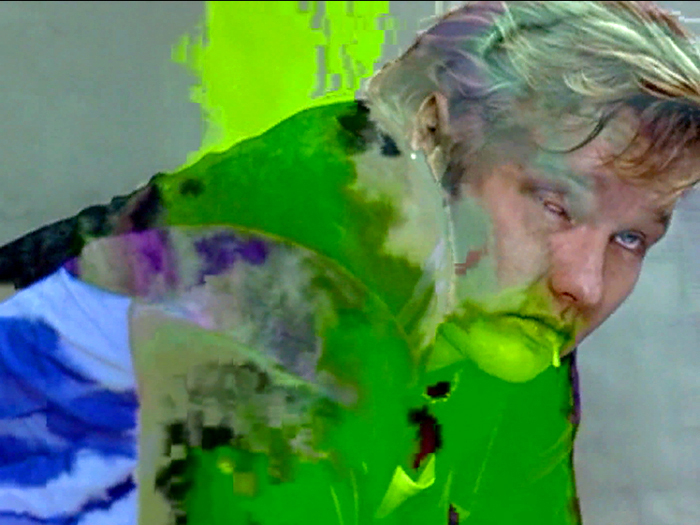 Chunder from Down Under is an experimental video glitch compilation of projectile vomits from Australian Television and Film. 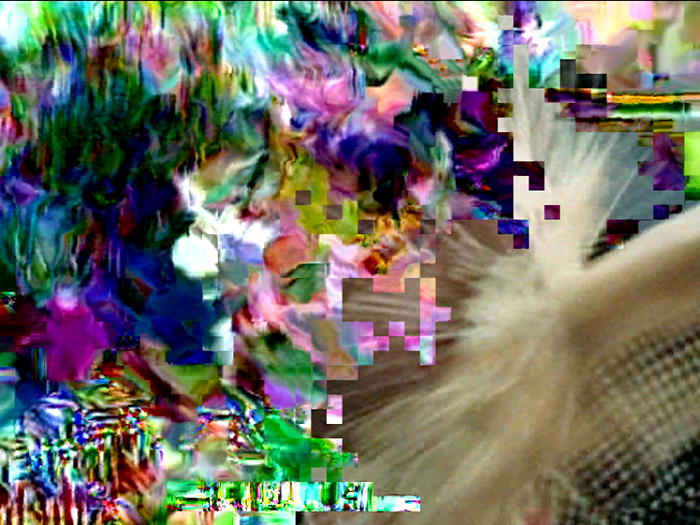 This piece is a celebration of compression artifacts, a form of alchemy that mutates the source video into an evolving kaleidoscopic trance of broken pixels, reminiscent of the gross technicolour substance of vomit. Chunder from Down Under explores the puerile comedic force of vomit & it’s prevalence in Australian culture. It also examines the Australian Identity that has been presented over the years on Television and Film and how it has changed and evolved. This piece plays with the cultural memory of the audience and they are invited to try and decipher the affected footage and discover their cherished Television shows and Films of yesteryear. 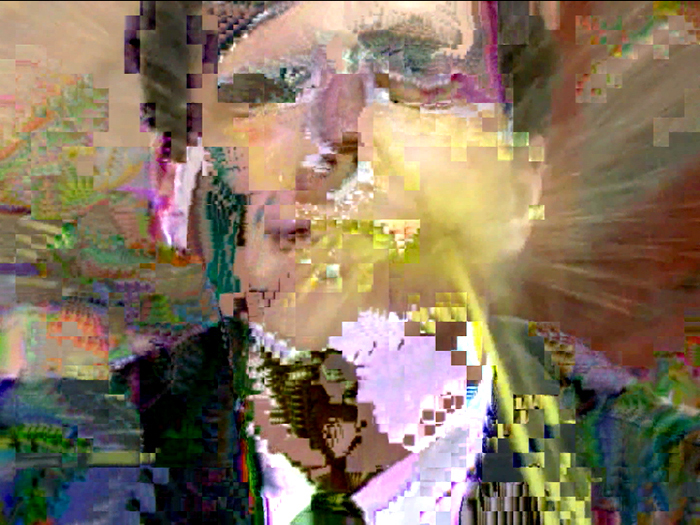 Chunder from Down Under was commissioned for Tele Visions Festival, 2013. 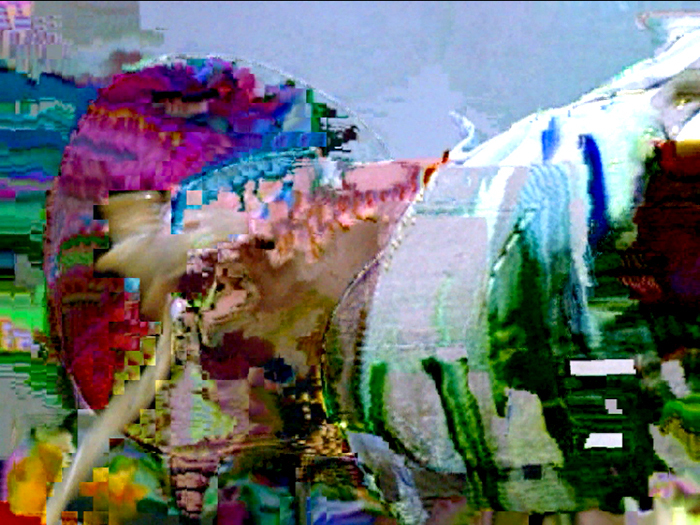 Tele Visions was a series of live events and broadcasts demarcating and exploiting the shutdown of analog TV in Australia through the presentation of work that created a new intersections between the television medium and contemporary art. Tele Visions was timed to coincide with the final shutdown of analog television in Australia on December 3rd, 2013.